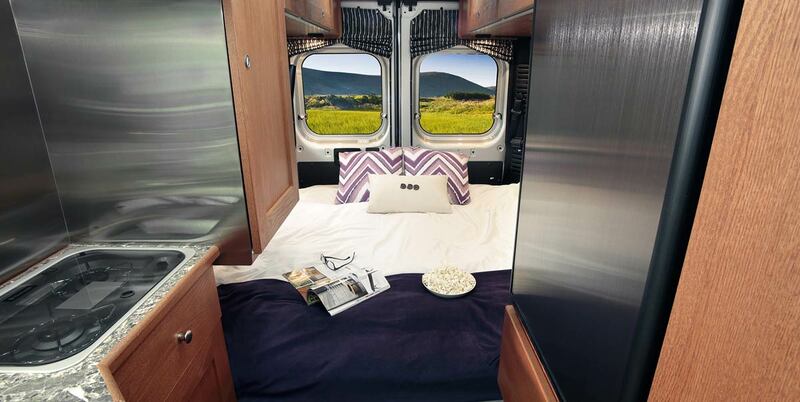 The 2018 Roadtrek Simplicity RV Texas allows you to have your dreams within reach by allowing you to live your life on the road instead of just dreaming of it! 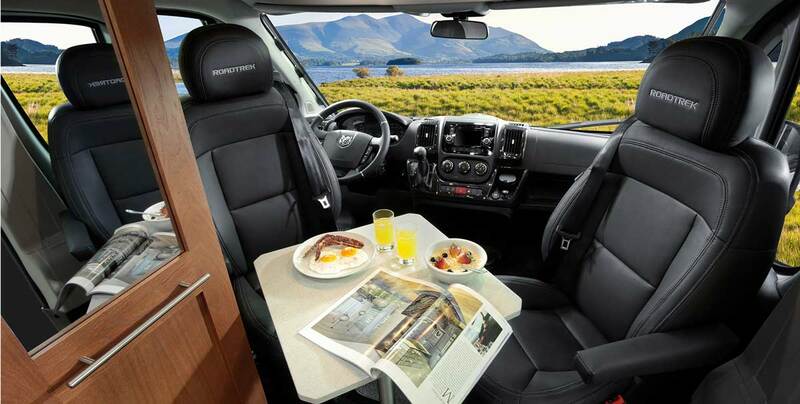 This amazing motorhome offers you the amenities you hope for; with the luxuries you want, all at a price you will love! Large windows, full kitchen and bathroom, sleeping for three and a patio awning are just a few of the conveniences you'll love! The 2018 Roadtrek Simplicity RV, TX brings your dreams within reach! Find out more information today at your friendly Ancira RV in Boerne, Texas! The 2018 Roadtrek Simplicity RV for sale in Texas comes in beautiful color options like Sandstone Pearl, Bright White, Granite Metallic, or Silver Metallic, only at Ancira RV in Boerne, TX. No matter which color you choose, you're bound to ride in style. Visit us at Ancira RV to choose your favorite color today! The 2018 Roadtrek Simplicity RV, TX for sale near me is spacious enough to seat five and sleep up to three people, features a sofa that converts to a queen size bed, and an automatic propane heating system. Come see what the 2018 Roadtrek Simplicity RV in Texas has to offer at your favorite Ancira RV in Boerne, TX. Take a step into your beautiful new 2018 Roadtrek Simplicity RV, Texas. As you turn from your driver's seat, you'll find a pop-in table to enjoy a card game or a nice meal. Looking ahead to your kitchen, you'll be able to prepare a delicious meal on your 2-burner propane stove, and keep your groceries fresh in your 5 cu. ft. refrigerator. You'll have ample storage space in the kitchen including a pullout pantry and a deep pot drawer. As you make your way through the galley, you'll find a comfortable and spacious permanent bathroom with stand-up shower, and finally arrive to your sofa that converts into a queen bed. End your day relaxed; watching your favorite movie on the optional 24" flat screen television. Accent your cabinetry with trendy accent fabric pillows, curtains and television cover in Shadow or Shadow accent. Our cabinetry color (Cherry) allows you to create the perfect look in your coach, making it feel like home. Show your true colors by choosing the exterior paint that suits your design preferences; Sandstone Pearl, Granite Metallic, Bright White or Silver Metallic. Whichever color you choose, you're bound to ride in style. The 2018 Roadtrek Simplicity RV, TX features a convenient and helpful monitor panel that displays propane, water, and battery charge levels. You can get some optional features equipped like a 110V, 11,000 BTU roof mounted air conditioner, single folding mattress, or the outdoor shower. Come see which options are right for you! Propane tank – 25 L/7 U.S. gal., 30 lbs. Refrigerator – 12 V/110 V, 2-way compressor 5.0 cu. ft. 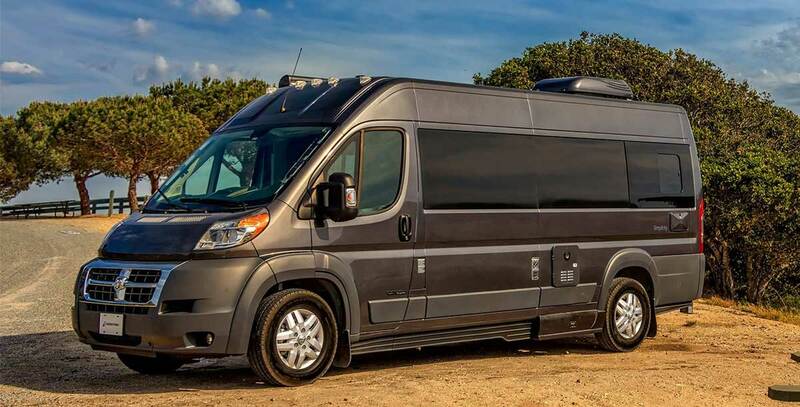 The 2018 Roadtrek Simplicity RV for sale in Texas offers a six-year industry leading unlimited mileage warranty covers the manufacturing of the motorhome, appliances, electronics, plumbing and EcoTrek batteries. This warranty is transferrable to the next owner if later on you decide to sell your RV. Visit us at your friendly Ancira RV to check out the 2018 Roadtrek Simplicity RV TX for yourself! Stability program - including wind assist, sway assist, drift compensation, Trailer sway, engine drag control, rollover mitigation, Electronic stability control, Hill start assist. Torque – 352 Nm/360 lb.-ft.
Fuel capacity: 90.8 L / 24 U.S. gal. Fresh water capacity: 140 L/37 U.S. gal. Black holding tank capacity: 36.3 L/9.6 U.S. gal. Gray holding tank capacity: 86 L/22.8 U.S. gal. Storage capacity: up to 53.90 cu. ft.
Don't just dream it of life on the road, live it in the 2018 Roadtrek Simplicity RV TX! Visit us to check out the 2018 Roadtrek Simplicity RV in Texas located at 30500 IH 10 West, Boerne, Texas 78006. You could also call us at (830) 981-9000 for more information on the 2018 Roadtrek Simplicity RV in Texas today! Contact dealer for full details on the 2018 Roadtrek Simplicity RV for sale in Texas, check owner's literature for full vehicle and warranty details.